As the icon and hallmark for your brand, your logo is perhaps the most important element of a brand identity. It is usually the most recognizable element of a branding system, since it is typically used in all materials. There are many criteria to keep in mind when designing a logo. For example, the logo should be legible in a wide range of sizes, from a tiny web icon to a large banner at a trade show. It should also be legible when faced with color restrictions. While having 15 different colors in your logo may look nice, does it still work when you are only able to print in one color or black and white? The colors used by a company can communicate many different messages and can sometimes be so iconic that a brand can be recognized solely by a swatch of color. Some brands go so far as to trademark their signature color(s), such as Tiffany Blue, FedEx Brown or John Deere Green. In order for your brand’s colors to become associated with your company, it is important that the same colors are used throughout all materials. By selecting Pantones (and their corresponding RGB/CMYK colors), and enforcing their usage, you ensure that the colors used in all of your company’s print and digital pieces remain consistent. Similar to colors, it is important to select specific fonts that should be used throughout your company’s materials. It is a good idea to limit this selection to as few fonts as possible. One best practice is to choose a serif font for body content and a sans-serif font for headings. Additionally, it is important to select a corresponding web-safe font to use if your corporate fonts are not already web-safe. There are many different fonts to choose from, in a wide range of styles from traditional to modern. Choose fonts that reflect your company’s image and mesh well with your logo and other style elements. Although imagery is always a core component of any marketing material, its usage has recently increased exponentially, due in large part to the growth of digital media. Because of this, you should expect to utilize many images in your marketing materials. In order to tie these images together, it is essential to establish a common theme or treatment that is leveraged across all of the images you use. Say, for example, that I am tasked with establishing an imagery style for a technology company. I may choose to use images of people or only close-up images of technology products. There are advantages to both, and which option is used typically depends on the specific client. The most important thing to keep in mind when developing corporate branding is consistency. 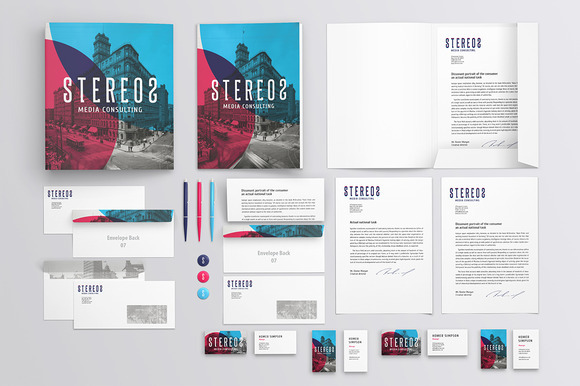 By utilizing the same elements repeatedly, you reinforce their place in your brand identity, and these elements become more readily related to your company.